Brushing AND flossing are vital to good health and well being. In fact, I can still hear my mom saying "be sure you floss, brushing alone is not enough". But kids don't always like brushing and flossing their teeth. It is normal for them to feel this way but as parents, we can do a few simple things to help them feel better about caring for their teeth, and stop the teeth brushing battles that we might face every day. These suggestions are not necessarily new, but reminders to make brushing fun instead of a power struggle. First, we want our kids to have a positive feeling about brushing and flossing their teeth and taking care of them, so even before kids have teeth, give them a toothbrush to play with. It will become one of their favorite chew toys and they will get used to how a toothbrush feels in their mouth. Let them watch you brush. Kids want to be like their parents and siblings. They are little copy cats. They will want to brush and floss because you are. Make brushing fun. This has been a powerful tool in our house, with brushing and flossing. Let your kids pick out their toothbrush, or the flavor of their toothpaste. Put up a timer when they brush and turn it into a challenge to see who can brush as long as the timer ticks. Put a cup in the sink and pretend it is a bullseye they have to spit into. See who can floss the most times in a week. Introduce new technology or toys to get your kids excited. We recently did this with our kids. They are good at brushing, but have trouble flossing. 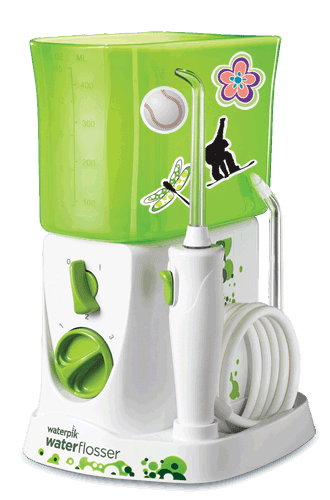 So to make things more fun, we introduced them to a Waterpik Flosser for Kids. The Waterpik is 3x as effective as flossing which made me feel good, and 1000x more fun for the kids which makes them happy. Now our kids voluntarily floss their teeth every day. I don't even have to remind them. 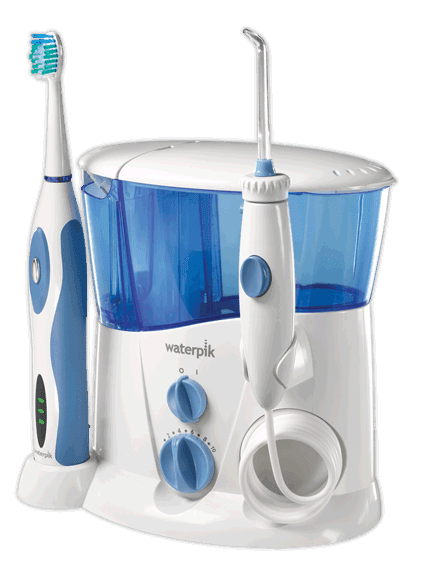 My husband and I use the Waterpik Complete Care system and it is a lot more fun using the electric toothbrush than a manual brush, (and 159% more effective). When things are fun, our kids are more likely to do them and so are we. Don't whine about brushing and flossing yourself. If we complain about having to brush our teeth, or floss our teeth, our kids will think that brushing and flossing are miserable. Teach them. Sit down and teach your kids why we brush and floss. Empower them by imparting wisdom. They will have less concerns and become more willing. Better yet, take a field trip to the dentist office, or to the library to learn about teeth and how to keep them clean. Let them brush your teeth. Not only will it be a lof of fun, but it will warm them up to the idea of brushing their own teeth. Brush their teeth for them, and if they won't let you, have them brush and then tell them you get to take a turn with their teeth, and you brush. Make teeth part of your and morning and bedtime routines. 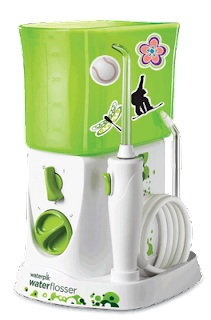 It is really important that we help our children understand the importance of good oral hygiene. Want to make flossing and brushing more fun? 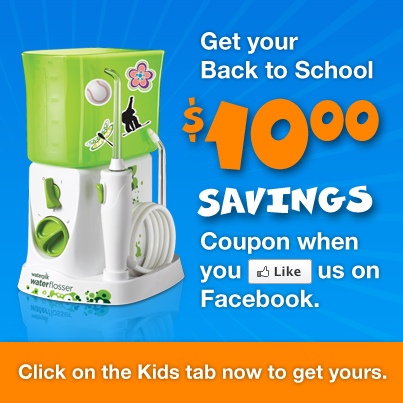 Use the $10 dollars off coupon for the Water Flosser for Kids, and $10 dollars off for the Complete Care System. I received free product in exchange for this post. All the opinion are mine. I like the spit in the cup in the sink trick. I'm going to have to try that one with my boys. Nice post to encourage kids dental health. It is very difficult to keep kids away from fizzy drinks, chocolates, chips etc. When i consulted dentist Mumbai for my treatment the dentist suggested me few story books for kids on taking care of teeth and to my surprise my child refuses to eat such things after that and also asks me to do the same and am very glad about. Excellent blog post! Sometimes it is very hard to convince kids for brushing. But if you consult that right dentist india, they always suggest the best way to encourage your children and improve their oral hygiene.